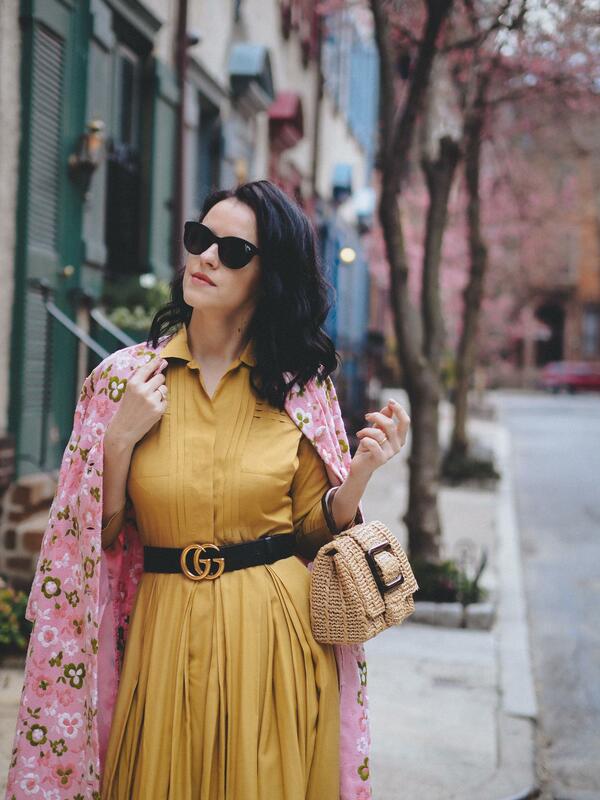 Mustard yellow silk dress and this spring-ish embroidered pink coat it's what I wore last Tuesday in Philadelphia. You saw me wearing this dress before in the Summer Here, in the Winter Here and now in the (almost) Spring days. 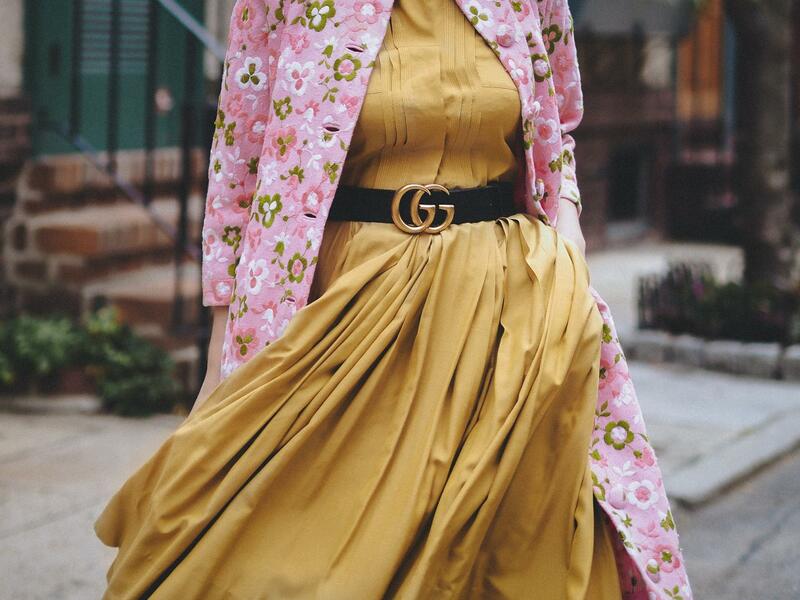 As you can see everything is vintage (except the shoes and belt) so I couldn't offer you the same exact products but this darling Spring coat Here and this midi dress Here are pretty amazing too! As for the bags, I always have you covered with unique pieces: Here, Here and Here! Your coat is so wonderful, I’m loving the embroidery! 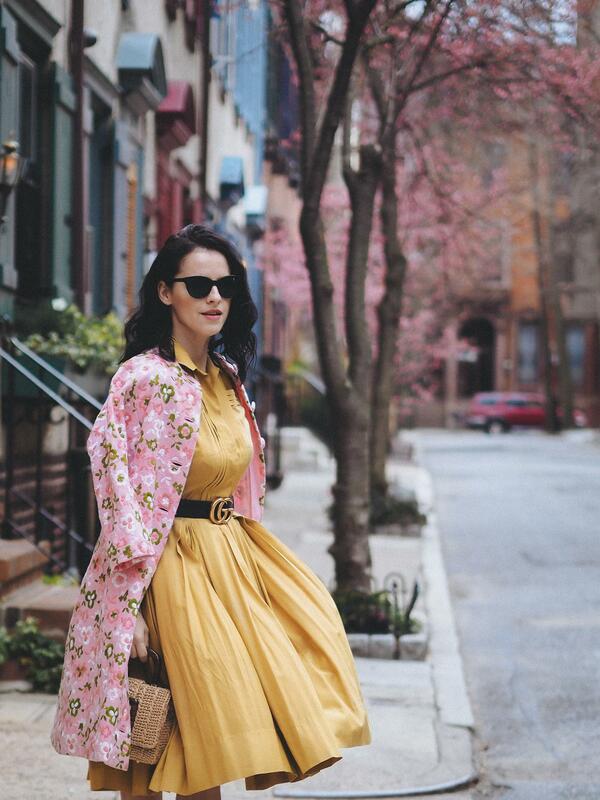 Beautiful woman in a unique, ode to Spring like outfit! What an absolutely perfect outfit! Loving that vintage straw bag so much!